WildWorks, which has been home to several successful casual and kid-friendly games like Animal Jam – Play Wild, Tunnel Town, and Dash Tag – Fun Endless Runner! just to name a few, recently released Tag with Ryan on Android and iOS platforms. 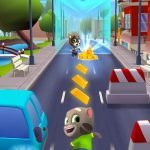 With its more popular releases making way to the top 100 charts in over 10 countries worldwide, WildWork’s new take on an endless runner game promises to bring new twists to the genre on top of the already very popular star of Tag with Ryan. 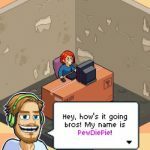 As a game which features a YouTube star popularized by a self-titled channel called Ryan ToysReview, you might get the impression that it caters exclusively to the more than 17 million subscribers of the channel, kids and parents alike. Don’t let the kid-friendly appearance of the game fool you though, as the challenges Tag with Ryan holds can leave even the best endless runner players a surprise. If you like Ryan from Ryan ToysReview or if you have kids who love that channel, then be sure to check this game out. On the other hand, if you are unfamiliar with the characters in the game as well as children’s channel but looking for a casual game that’s fun and challenging as well, then it wouldn’t hurt to try the game too. For those not familiar with Ryan and his Youtube channel Ryan ToysReview, Ryan is a 7-year old kid whose rise to Youtube stardom began in 2017 although he started making videos as early as 2015. Initially featuring unboxing videos, his channel has now become an influence to the toy industry following the popularity of his toy review videos. Currently, the channel has evolved to include educational videos for the almost 18 million subscribers and still continues to grow steadily. In Tag with Ryan, you will play as Ryan being chased by his friend Combo Panda and you must collect all of Ryan’s many different costumes with the help of Gus which you will need to chase around the course as he appears. It holds all the usual mechanics any endless runner game has but also contains a mix of sorts following the chase and be chased mechanics alternating occasionally as you play the game. The controls are very easy to learn as you need to only make directional swipes to switch to the left or right lanes as well as to jump and slide. There are suns and pizzas to grab as well as tons of power-up to use to your advantage. 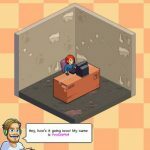 Beyond fast reaction times and quick swipes, you need a bit of strategy to progress faster and that is precisely what we will be helping you with in our Tag with Ryan beginner’s guide. As a basic strategy applicable to every endless runner game, looking as far ahead on the course as you can is the only way to go. Given that you can easily master the swipe controls, you don’t really need to keep a close watch on your character and avoid thinking about Combo Panda chasing to tag you. What you solely need to focus on is the best route to take most especially as you run farther in the game. Initially, 2 of the 3 lanes may be passable with one potentially having more suns than the other. Later on though, you will more often encounter parts of the course when only one way can get you farther through it. As such be sure to keep an eye towards the farther edge of the runway and plan the swipes a little ahead of time. On a more advanced note, some platforms and obstacles you will encounter in the game will be moving as well. In such cases, planning ahead should take into consideration a well enough estimate of where the objects will be by the time you reach them. This is an essential necessity for you to be able to master running record breakers on each go and although it will certainly take many tries and some hard work, practicing on keeping your eyes ahead will most certainly pay off in the long run as the rewards you can acquire improves over time as well. Perhaps one of the trickier concepts which make Tag with Ryan somewhat more challenging to new endless runner game players is the concept of physics and how people should jump and land in real life compared to how video characters do. Well, some might not even bother to try and swipe to the left or right lane while they are jumping in the game and that will almost always lead them to potholes or unplanned lake swims or other sorts of crashes that abruptly end their runs in frustration. Contrary to many popular endless runner games that bank on quick swipes one after another to travel further in a course, Tag with Ryan almost always requires at least two consecutive swipes and these most especially includes jumps. There will be numerous instances in the game where you will have to switch lanes as you jump across or over an obstacle. 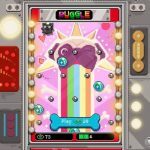 Now, if getting used to looking far ahead may be a bit of a challenge for you, then beyond that comes looking far ahead while planning on the consecutive jump and swipe to the left or right combinations that take a little more getting used to than our first strategy. Again, mastering this may take a bit of time, but perfecting it brings you a lot closer to earning all those cool costumes. It’s almost a given that you constantly need to run to earn some suns and pizza slices for all those upgrade needs and boosters to further liven up your game but sometimes, trying to get more coins, pizzas, keys as well as power-ups can lead to an early game retirement. As such be sure to focus on just keeping a safe run while trying to grab whatever you can as you go. There are instances where power-ups and other valuable items can be found on more perilous lanes, and going after it poses a risk, so if the risk is too much for you to take just ignore it and maintain focus on what is ahead of you. Likewise you will also see some items that pass you by on another lane and you might be distracted by the fact that you missed those items. In such cases, learn to ignore it just the same and move on to what you are really running for. Yet another trick to help you reach farther distances in Tag with Ryan is hopping on some short hazards that appear to be something you need to completely jump over from. Tree stumps, ice cubes, logs, and even cacti are safe to land on so don’t be afraid to do so when playing the game. Most especially at the first few runs in the game, you will be inclined to think that you need to completely jump over some of these obstacles and maybe even at times, attempting to do so may make you jump a little later than you should and you will wind up bumping on these obstacles. Knowing that you can safely land atop these obstacles should adjust the timing of each of your jumps from a little early which should land you on top of it, or just right which should result in you completely jumping over the obstacle. On more challenging scenarios, you can even hop on from one stump to the next one and lessen the risk of bumping into other obstacles. Yet another tricky feature in Tag with Ryan is the manner by which you can unlock a new costume. As you start running, you will randomly see Gus, Ryan’s friend, running ahead of you and you must tag him to unlock a new costume. As Gus doesn’t appear on every run, the game is designed in such a way that a bit of tension builds up as you start catching a glimpse of Gus in the distance. You will almost always be too excited to get close to him to tap the screen and obtain a new costume. While doing so, however, you will most likely be distracted by his appearance and be less conscious about your surroundings, particularly the obstacles that lie ahead. Be sure to try and stay as focused as you can be when Gus appears on your screen. You can even pretend that he’s not there if it helps you focus on the course ahead as you navigate through the many obstacles and just click on him when he comes close enough. The idea is to look beyond him and continue on keeping your sights towards the far end of the path and you will more likely succeed in tagging Gus and nabbing a new costume for you to keep. Tag with Ryan is packed with 24 very distinguished costumes to collect and each one has its own stats to upgrade that increase sun bonuses, spring shoes duration, and shield duration. As the starting stats for each costume varies, you may want to initially bank on what you have that offers the highest rate of sun bonus booster. As you will need to collect more suns to fully upgrade each costume, you should spend, or rather invest, your initial suns on the sun bonus stat to increase the amount you will get moving forward. Likewise, you may want to focus on upgrading one costume at a time considering that the large amount of suns you will need to fully upgrade even just one costume will take a lot of running and grinding to earn and save. It’s okay to switch to other costumes from time to time just to ease down monotony but as far as upgrading goes, try to focus your resources on one costume at a time. The pizza slices you earn and collect, which is a little more difficult to nab than suns, can be spent on attractors that make Gus appear more often and guarantees a specific costume to be earned when you successfully do so. If you noticed that these attractors come in sets of 5 as well, then you know that spending hard-earned pizza slices won’t guarantee that you will earn that much coveted costume instantly. As it is, attractors only make Gus appear more often, and if you fail to tag him when he does, then all those pizza slices you worked hard to collect are gone too. One way to look at this though, is that if you really want one costume over the rest so badly that getting it makes the rest not so much a motivation any more for you to collect. On the other hand, you can save all your pizza slices, consider your first few encounters with Gus as practice, and spend on the necessary attractors when you only have a few costumes to collect. With the latter perspective and approach, there is a good element of surprise as to which costume you will earn next as well as make you run much better by the time you spend those pizza slices on the costume you really want. You can also spend pizza slices for vehicles you can ride on to boost the start of your game. Considering the cost though, which is 300 for the go kart and 350 for the rocket, you may want to go for this once you have nothing more left to spend those pizza slices on like when you have successfully unlocked all of Ryan’s costumes. The folder with a check mark icon on the left side of your screen houses the Daily Missions that you can accomplish to earn a special reward. As these gift boxes can contain large amounts of pizzas or keys to unlock treasure chests, you should aim to accomplish all 3 objectives. These tasks usually involve the activities you engage in while playing Tag with Ryan anyway and these aren’t all that difficult to achieve. On top of running for distance and for coins, be sure to take these objectives into consideration as your three goals daily. It’s very understandable that some people get easily annoyed with the presence of advertisements on even free-to-play games. While the case may be true if such ads where overly intrusive and force fed, having absolute freedom as to when you can play ads as well as the accompaniment of rewards makes some ads well worth it. In Tag with Ryan, there are occasional instances when you will be presented to continue your game for free just by watching a 10 to 30-second video ad instead of spending pizza slices. As this doesn’t happen as often as you would want it to, you will probably be glad to play an ad at every opportunity. Otherwise, it is highly unlikely that you would spend those hard-earned pizzas just to continue your game. More difficult to see than keys and power-ups, mysterious treasure chests appear at random on your runs and you should consider yourself very lucky if you chance upon grabbing it as it seems to spawn at the most awkward places. Once you successfully grab one of these mysterious treasure chests, you can use 1 key to open each or watch a short video ad to unlock it for free. As you may want to use your keys 3 at a time to unlock some treasure chests which can be accessed through the chest icon on the upper left side of your screen, you will more likely appreciate having the option to unlock mysterious chests you obtained on your runs for free. And this ends our Tag with Ryan beginner’s guide. We hope that you were able to read through all the basic tips and strategies that we laid out and that you were able to learn a great deal from what we shared. Like in many endless runner games, maintaining a calm and composed approach on each run you make promises much better results that panicking on every corner. Hopefully, you were able to pick up some important points in our Tag with Ryan guide to help you run further and land more successful tags to collect all the Ryan costumes available in the game. If there are some tips and strategies we forgot to mention or if you would like to share your own discoveries, we would very much appreciate what you can share so feel free to talk to us through the comment area below!